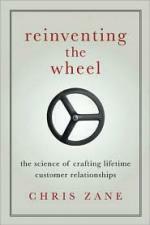 I thought I’d tell you about this great little book on customer experience Reinventing the wheel: The science of creating lifetime customers. It’s written by Chris Zane (recommended to us by our friend Ole Kassow at Purposemakers). 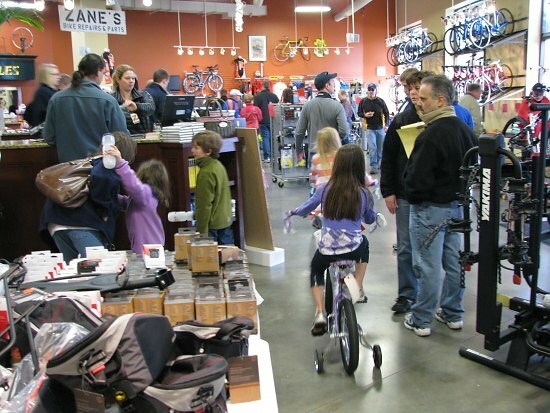 Chris is founder of the award-winning Zane’s Cycles, one of the largest retail bicycle chains in the USA that started from humble beginnings more than 30 years ago. He has positioned himself at the forefront of the industry by continuously setting standards in customer loyalty and creative marketing. Zane’s unique approach to marketing includes strategies such as continual learning, the lifetime value of a customer, guerilla marketing, bootstrapping, community relations, cost-controlled customer service and image branding. 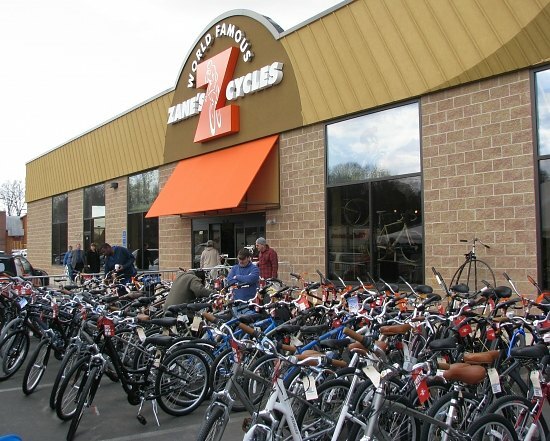 These initiatives may seem a little crazy but Zane’s understand that a customer will spend, on average, $12,500 over their lifetime with the company, so it pays to look after them and eliminate the competition in the process. Although on the surface it can seem as if Chris is being too nice to his customers, he admits that he’s as hard-nosed, data focused and effective a business person as you will find anywhere. He just realises the importance of providing a great customer experience that people will talk about. Interestingly Chris and his team have worked closely with Arizona State University’s Center for Service Leadership to put to test their textbook theories. They’ve not only validated many of their theories on service design and customer experience, but empowered the team at Zane’s to do their jobs better than they ever have before. Maintain a constant focus on the business you’re in, stay passionate about the experience and don’t become overwhelmed by the products you sell. As Chris says ‘we’re not a technical company, we’re in the experience business’. Just as Tony Hsieh from Zappos says ‘we’re a customer service company that just happens to sell shoes’. All great companies can change their product/service offering but maintain a consistent experience. Work to ensure you collect on the average lifetime spend rather than the transaction at hand. Maintain a long-term view and don’t get obsessed by maximising the profit on each sale. Surprise and delight your customers so they do your marketing for you. Develop additional offerings that allow the experience you provide to seem too good to be true. Provide more service than seems reasonable and place trust in your customers to self-regulate. In this way you can make the competition irrelevant and build a solid foundation for your brand. Explore opportunities to build new relationships in a non-traditional business by keeping open to new and different ways of servicing your market, all while building in unique service offerings. Be smart and think outside the box. By fixing what isn’t broken, you can build your company on your own terms rather than reacting to a crisis. Continuous improvement ensures you are never on autopilot, allowing you to see and re-engineer offerings to best fit the customer needs. The process of building a team that enjoys each other’s company will create an environment that the customer will appreciate and recognise as unique. Hire friendly, confident people that have the potential to deliver great customer service. Zane’s story highlights that to build a sustainable business with loyal customers you need a strong culture and brand, a great customer experience and a growth mindset that allows for regular experimentation and improvements.